New Delhi [India], November 2 (ANI): The finals of the fourth edition of the Indian Super League (ISL) will be held in Kolkata, while the opening game of the season has been shifted to Kochi. New Delhi [India], October 16 (ANI): Colombia will square off with Germany, while the United States will meet Paraguay in their pre-quarterfinal matches of the FIFA Under-17 World Cup here at the Jawaharlal Nehru Stadium later today. New Delhi [India], Oct. 2 (ANI): Indian cricket team skipper Virat Kohli on Monday extended his best wishes to the Indian U-17 football team for the upcoming FIFA Under-17 World Cup. 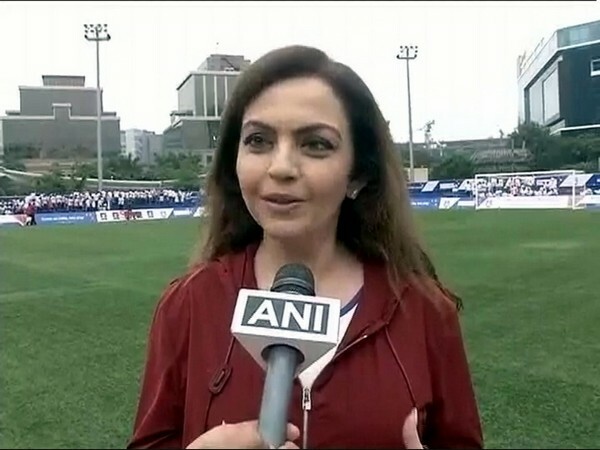 Mumbai (Maharashtra) [Mumbai], Oct. 2 (ANI): The All India Football Federation (AIFF) believes that the FIFA Under-17 World Cup, beginning later this week in the country, can be a catalyst for the sport and wake up the sleeping giant called India.